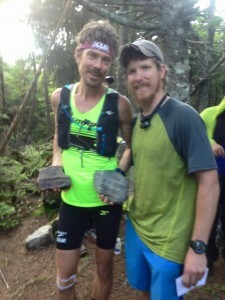 A huge CONGRATULATIONS to Scott Jurek, who crested the summit of Mount Katahdin in Maine, becoming the fastest person to finish a supported thru-hike on the Appalachian Trail. He completed the 2,189-mile journey in 46 days, 8-plus hours, breaking the previous record by just more than three hours. What is important for TSP is in this attempt to break the record Scott took a moment on the trail, with Michael Keighley, to learn about TSP and honor two fallen Maine heroes through The Summit Project living memorial. 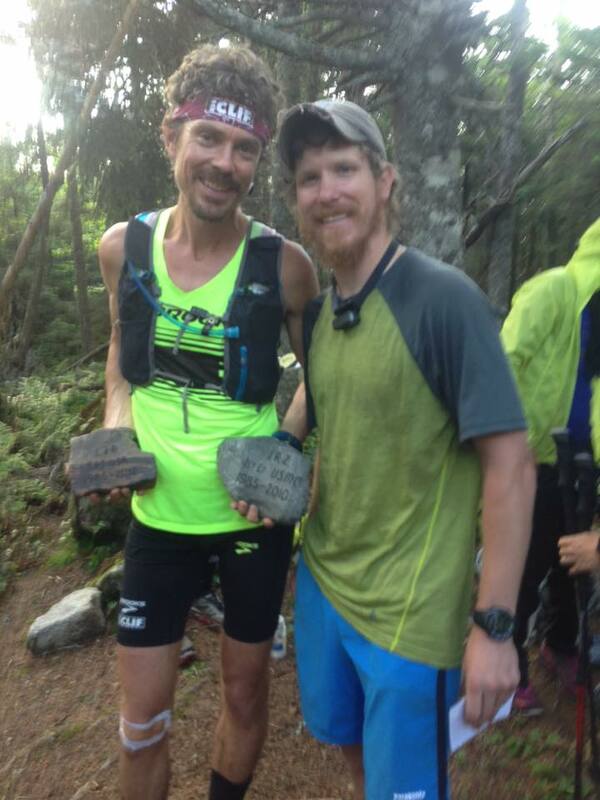 While he was attempting to break a land record, he still took a pause to carry the stories and stones of fallen Maine heroes — James Zimmerman and Jay Brainard. We congratulate Scott for his tremendous accomplishment, starting at the AT’s southern terminus, Springer Mountain in Georgia, on May 27 at 5:56 a.m. He averaged nearly 50 miles a day, crossing 14 states, and traversing 515,000 feet of elevation change. We join an entire community of ultra racers in commending Scott, but we especially thank Scott for honoring and sustaining the memory of TWO fallen heroes from Maine WHILE his priority was to minimize his time on the trail and make the best time possible. Thank you Scott. Thank you Mike. Thank you for being part of this living memorial. TSP is honored to be a part of your record breaking journey and we appreciate that you helped to ensure that Maine Heroes are NOT forgotten. MHANF.